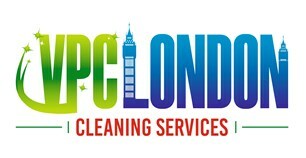 VPC London Cleaning - Cleaning Services based in Slough, Berkshire. FREE CARPET CLEANING WITH END OF TENANCY CLEANING OR 20% DISCOUNT ON WITHOUT CARPET CLEANING. BOOK 3 ROOMS CARPET CLEANING GET STAIRWELL AND HALLWAY FREE CLEAN. GET FREE GIFT OF PROFESSIONAL STAIN REMOVAL BOTTLE WITH CARPET CLEANING. BOOK 10 CLEANINGS IN A MONTH GET 11TH FREE ( Only Domestic ). RECOMMEND US TO FRIENDS & FAMILY GET UP TO £5 CREDIT . Choosing the right cleaning service for your facility can be a daunting venture. However, VPC London Cleaning Services can tailor a specific site plan aimed at satisfying all of your cleaning concerns and needs. Currently we serve hundreds of clients every week and we offer excellent customer satisfaction. If you are not happy with any of our services we will happily come back free of charge. VPC London Cleaning Services are backed with young and experienced people with innovation , creativity and passion to face new challenges. Our team of professional but friendly maids pride themselves in going above and beyond other house cleaning services. We provide efficiency with a personal touch, helping simplify your life whilst ensuring your home stays sparkling clean . We fully understand the risk of your high value goods and minimalising the risk is our prioritiy looking after your precious space and valuables. We train our staff to the highes standard. Our Operations Manger has 10 years experience in cleaning services and she closely looks after every single job.